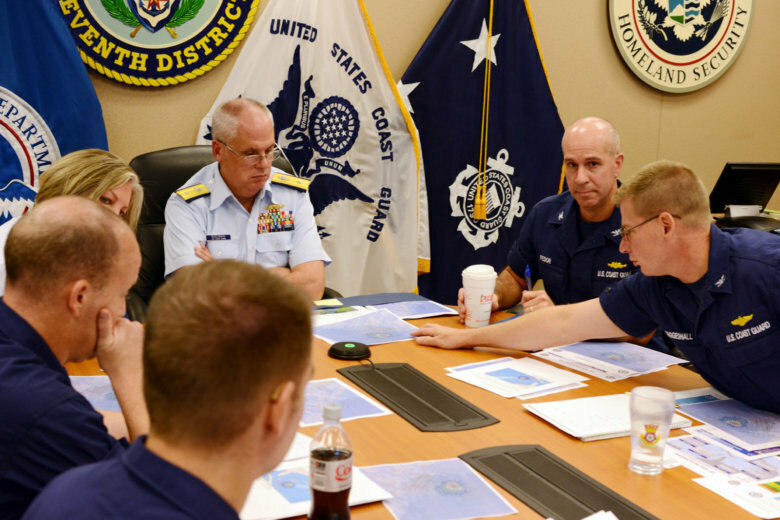 The U.S. Coast Guard Atlantic Area is welcoming a new commander. Rear Adm. Scott Buschman will assume command from Vice Adm. Karl Schultz. YORKTOWN, Va. (AP) — The U.S. Coast Guard Atlantic Area is welcoming a new commander. During a change-of-command ceremony scheduled for Friday, Rear Adm. Scott Buschman will assume command from Vice Adm. Karl Schultz. Schultz has been confirmed by the U.S. Senate to be the Coast Guard’s next commandant. He will assume command during a June 1 ceremony in Washington, D.C.
Buschman, the current deputy commander for Atlantic Area, has held previous flag officer assignments as commander of the Seventh Coast Guard District in Miami and the Coast Guard’s Force Readiness Command. The Atlantic Area encompasses more than 14 million square miles of land, 42 states and more than four million square miles of navigable water. The ceremony will be held at the Coast Guard Training Center in Yorktown.